After recovering two moorings yesterday, the team did a quick turnaround due to impending weather and redeployed them today. 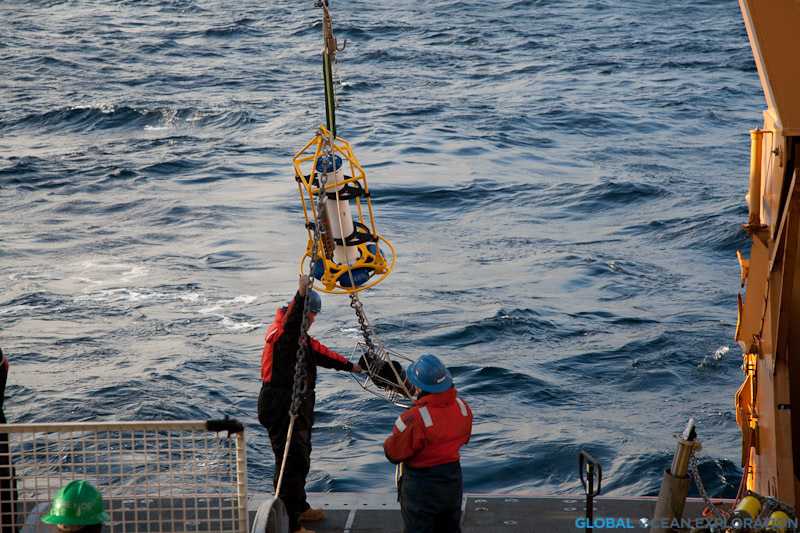 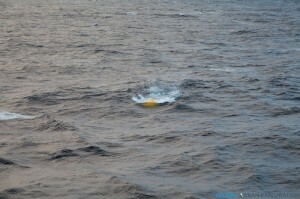 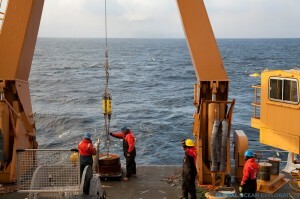 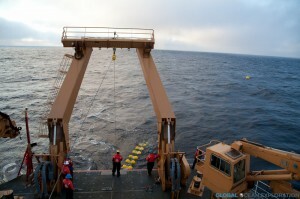 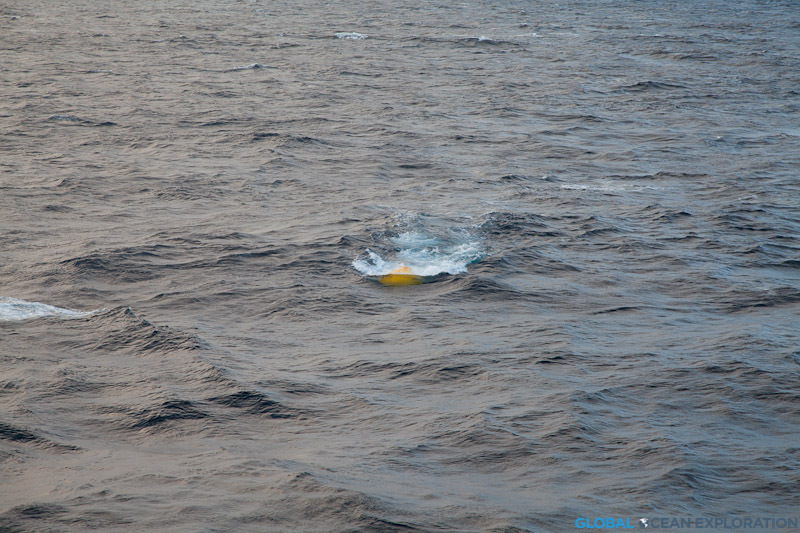 Like recovering the mooring, deploying was quite an operation done with careful precision. The BS3 mooring with all of its various instruments was redeployed to collect data for another year adding to the time series of data from this location. 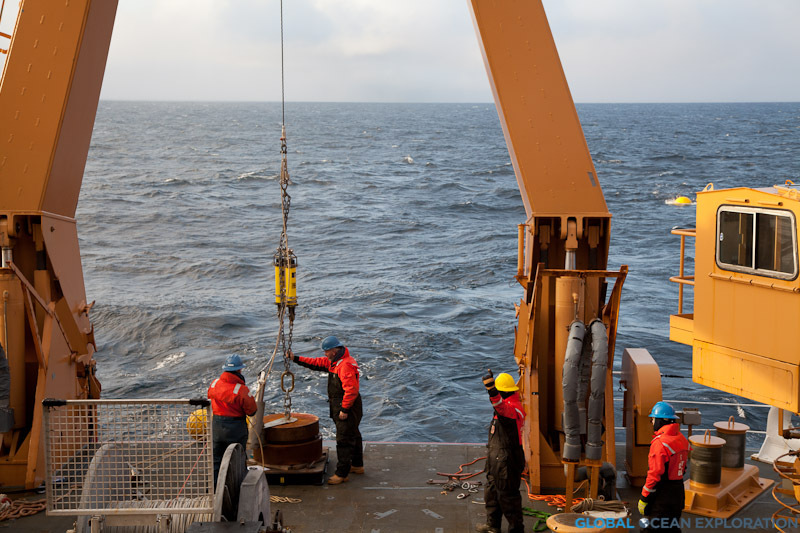 With the mooring operations complete, we are moving on to Phase II of the expedition which involves a long steam northeast to the Canadian Archipelago where we will be completing CTDs and water sampling along the shelf. 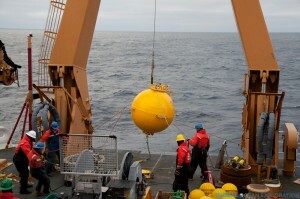 I am very exciting for this work as we will be heading into the ice! 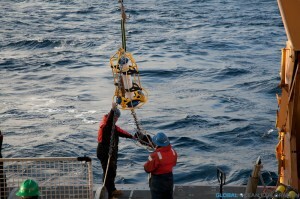 ‹ What is Ocean Acidification?